Click on 'Mobile Phone Connection Wizard' to connect Android phone with Software. 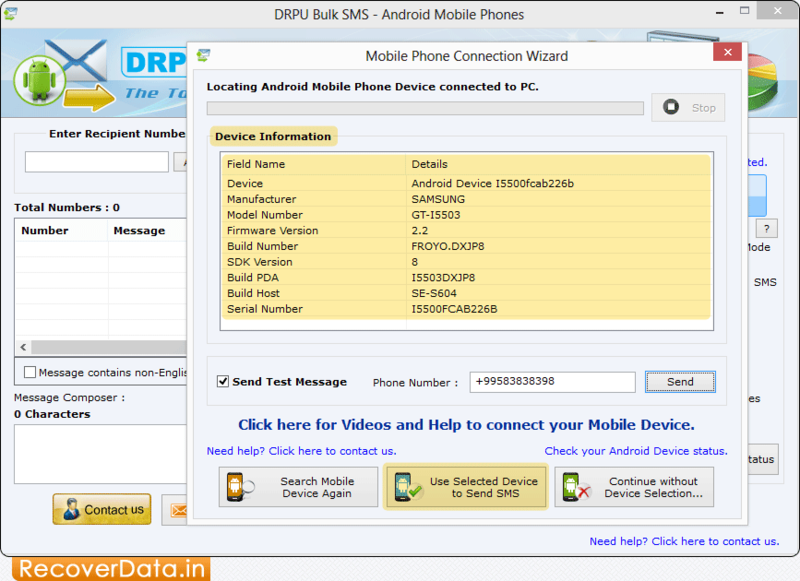 Here, you can view connected device details (Device, Manufacturer, Model Number, Serial Number, etc) in 'Device Information' box. 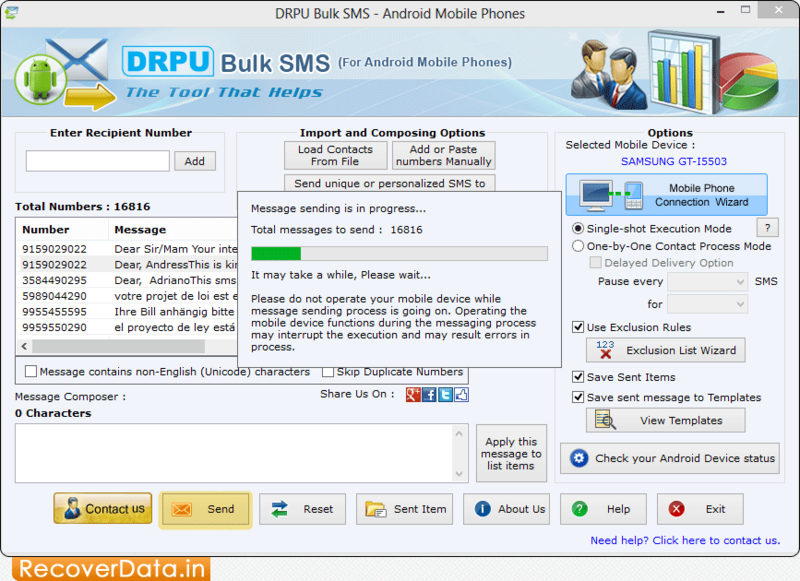 Click 'Use Selected Device to send SMS' button to send messages. 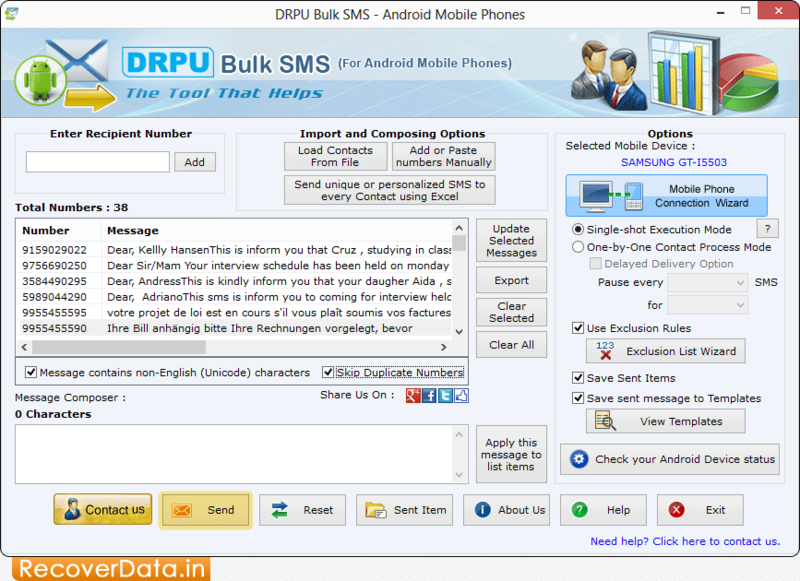 Click on 'Send' button to send bulk messages. 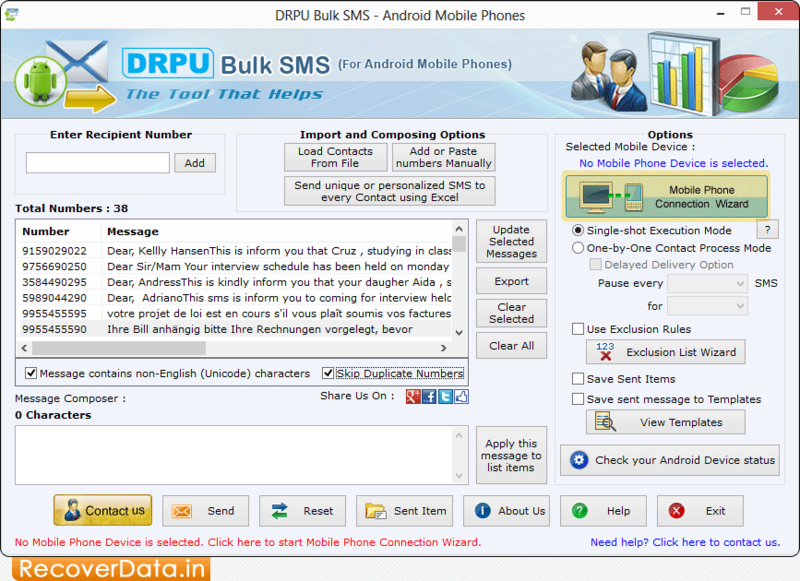 SMS Sending Process is going on.